The most awaited club football competition is knocking at the doors and the lovers of the game around the world are gearing themselves for yet another spectacular season. 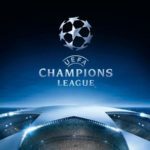 UEFA Champions league,unarguably the biggest competition in club football, bestows a platform where the top most clubs and its players in the European leagues compete with each other for supremacy. Not only this competition has given us numerous football legends,it has also witnessed the rise of many smaller clubs overnight with their performances. Clubs like Red Star Belgrade(Serbia), FC Basel(Switzerland), Shaktar Donetsk(Ukraine), Malmo FF(Sweden), Sampdoria (Italy) grew their market equity manifold overnight with their performances in UEFA Champions League.Real Madrid(Spain) leads the chart winning the coveted trophy 13 times with a hatrick of titles of UEFA Champions League in the last 3 seasons. However this year we might get to see a new team winning the trophy after a lot of shuffling of players by competition and strengthening their respective squads during the recently concluded summer transfer window. Hence let’s look at the five teams who can end Real Madrid’s run as champions in UEFA Champions League 2018/19. 1. Liverpool (England) – They are ready to shed off their gruesome defeat in the last edition of Champions League final in May and bounce back in this edition of the competition. Jurgen Klopp with some smart summer business, has apparently fixed up the problem areas which led to their downfall. With the inclusion of Brazil’s No. 1 goalkeeper Allison Becker , Liverpool will surely look more robust defensibly. Naby Keita and Fabinho will also add a lot of solidity in central midfield which looked extremely vulnerable in last year’s finals. 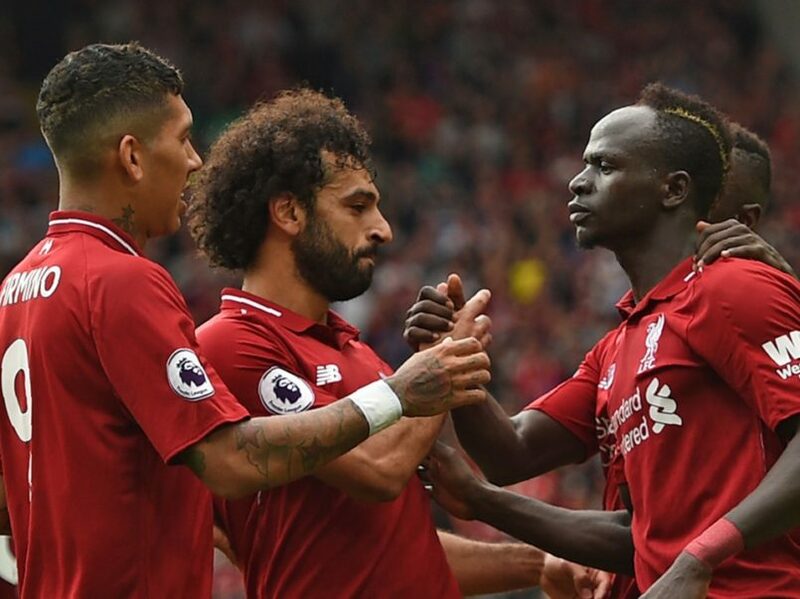 The attacking trio of Mohammed Salah, Roberto Firmino and Sadio Mane was the most prolific in last edition of Champions League raking up more 3 goals per game in last season’s competition. There was also the feeling that Liverpool overachieved to a certain extent by even reaching the final and hence unlike last time, there will be lot of pressure on Klopp’s team to replicate last year’s performance, which can be a hindering factor going forward. Moreover,Liverpool has been drawn in an extremely tough group with alongside Paris Saint Germain (France), Napoli (Italy) and Red Star Belgrade (Serbia). Klopp’s first agenda would be to try to get past the first hurdle of qualifying from this group and then think of replicating last year’s run. But with the current run of red hot form of Liverpool who has started their Premier League campaign with all wins, it is evident that they will be the favorites to qualify from this group alongwith Paris Saint Germain. 2. Paris Saint Germain (France) – Paris Saint Germain might the only club to have sacked their manager Unai Emery despite winning a treble in Ligue 1, the Coupe de France and the Coupe de la Ligue. It’s clear where the board’s priorities lie. Success in Europe is what defines PSG’s season, and that will be Tuchel’s only goal. 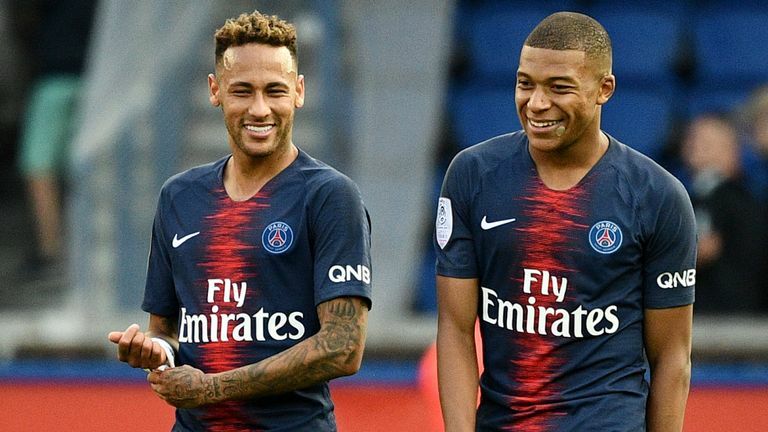 The club boasts of having the two most deadliest wingers in the current scenario in Brazilian Neymar and current FIFA World Champion Kylie Mbappe. With the experienced predator Edinson Cavani upfront, their forward line looks the deadliest in recent years. But the French club’s midfield looks to be a weakling. Hence Tuchel has started fielding a new team formation in his current matches. He uses a three back system with the wing backs to support the attack and make their midfield compact, when needed. Giovani Le Celso and Marco Veratti will have to take charge of the midfield. The back three in experienced Thiago Silva , Marquinhos and young Kimpebe looks pretty solid. The inclusion of the legendary Gianluigi Buffon in goal will also add a lot of solidity to the team combination. They too are in a very tough group but will be favorites to qualify to the next stages. 3. Manchester City (England) – Last season the club’s heroics in the Premier League will go down in the history with the team winning more points, more games and more goals than any team before them. They were nearly a perfect team in all facets of the game. But the same cannot be said when its comes to their recent Champions League performances. Like every year the problem of focus has been detrimental to the club’s chances in the tournament. Pep Guardiola will surely prioritize Champions League tournament this time around . The management has not only done its best to keep hold of the majority of the quality squad players but also had a few excellent acquisitions in Riyadh Mahrez and Aymeric Laporte which adds more variety and solidity to the squad. 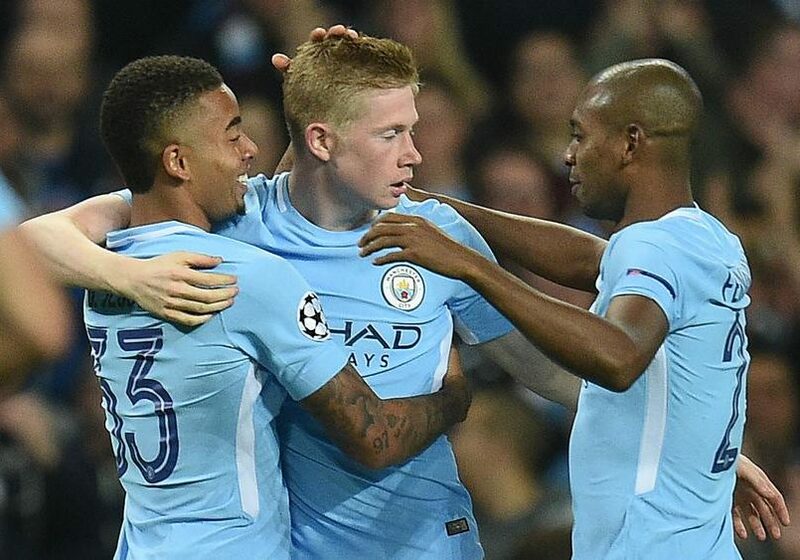 Although Kevin De Bruyne’s injury and fitness might be a big concern for the team, it has solid back up in Ikay Gundogan, Bernado Dilva and David Silva who all can minimize the impact of De Bruyne’s absence.Pep will be really happy with the squad depth and quality at his disposal. If Pep fields in the right team combination and formation in the crucial matches, surely we might see Manchester City lifting their maiden trophy in Wanda Metropolitano in Madrid,Spain on June 1,2019. 4. Juventus (Italy) – Juventus has a very rich history in the Champion League but their recent losses in the finals in 2015 and 2017 has been a major heart break for the club in recent years. But this time around the club’s board is leaving no stones unturned to win back the trophy they last won 22 years ago. 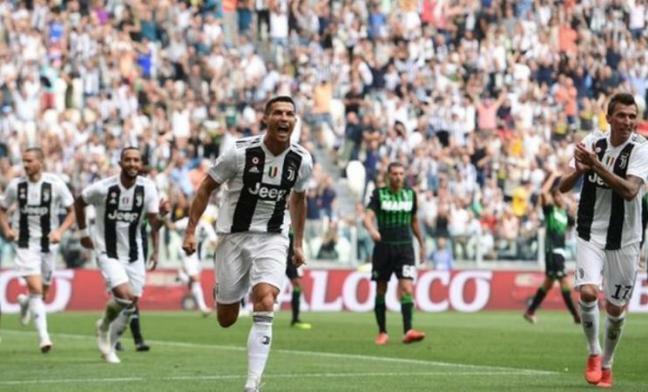 They have acquired services of the five time time Champions league winner and five time Ballon D’Or winner Portugese super star Cristiano Ronaldo for a whopping Serie A transfer record worth USD $131 million. Ronaldo’s signing was meant to bolster the club’s chances of winning the Champions League trophy for a third time. Apart from Ronaldo, Massimiliano Allegri’s club has acquired German midfielder Emre Can, experienced Leonardo Bonucci,very talented Italian goal keeper Matias Perrin and spanish full back Joao Cancelo. This time around the Turin giants have clearly prioritized winning the Champions League, so that could leave the door slightly open for rivals to slip through and end Juventus’s run of consecutive Italian championships. 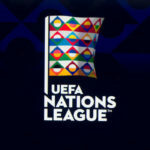 Grouped with a lackluster Manchester United(English), out of form Valencia(Spain) and new comers Young Boys(Switzerland), Juventus will be favorites to easily qualify to the knockout stages. 5. 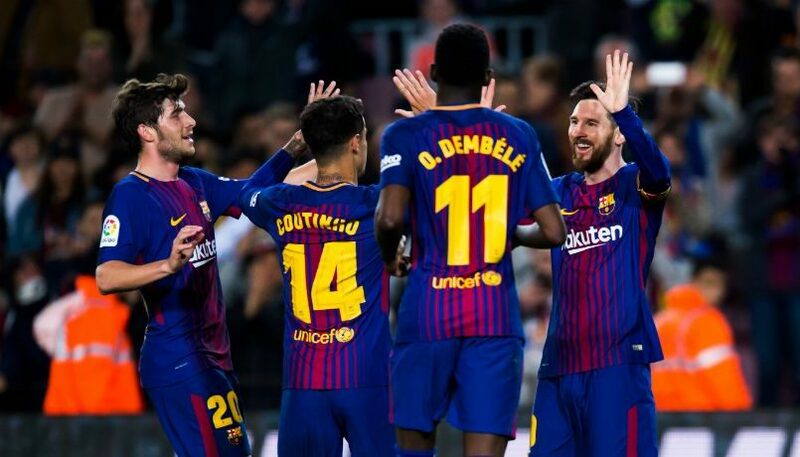 Barcelona (Spain) – Barca will be desperate to bring end to Real Madrid’s European dominance in this edition of the tournament more than any other team. Their last win came in 2015 when they trounced Juventus. 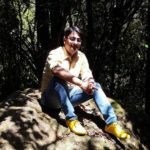 But that team boasted of players who were at the peak of their game like Xavi Hernandez,Javier Mascherno, Andres Iniesta, Dani Alves, Neymar and a much younger Lionel Messi. The new look Barcelona has players with immense talent but they do lack big match experience and temperament. The acquisition of the Brazilian trio Philippe Countinho, Arthur Melo, Malcolm and a highly talented French defender Clement Lenglet will definitely add a lot of steel in the squad. But the main focal point will obviously be the Argentine superstar Lionel Messi who will be desparate to prove a point by winning the Champions League after his unsuccessful stint in the FIFA World Cup in national colours. Moreover he will definitely fight to win back his World’s best player status with his performances in the tournament. Coach Valverde will have a tough task cut out in-order to field the right team formation in tough fixtures. He will also have the responsibility to utilize the raw yet exceptional talent of Ousmane Dembele, Arthur, Malcom,Lenglet and the 19 year old Rique Puig judiciously.